If your walls are looking a little basic, you may be inclined to grab some prints and hang them up-but we think you can do better than that. 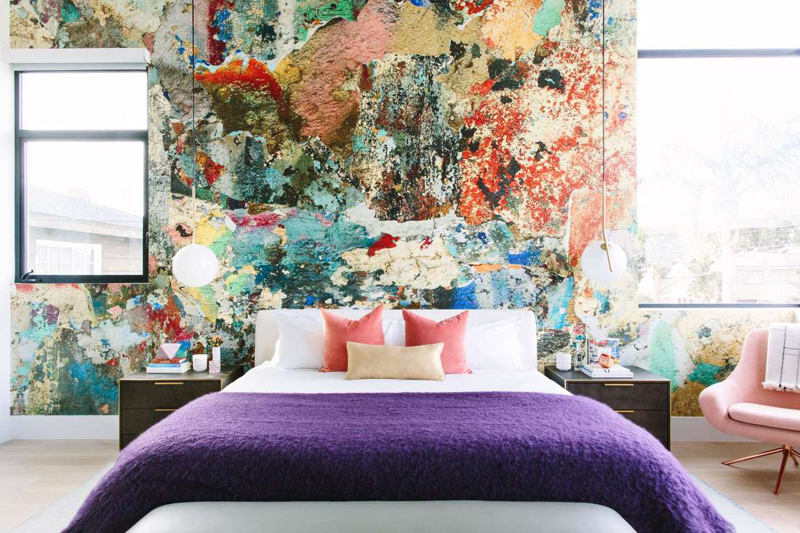 Have you considered a mural? A wooden wall? Or even a ladder? 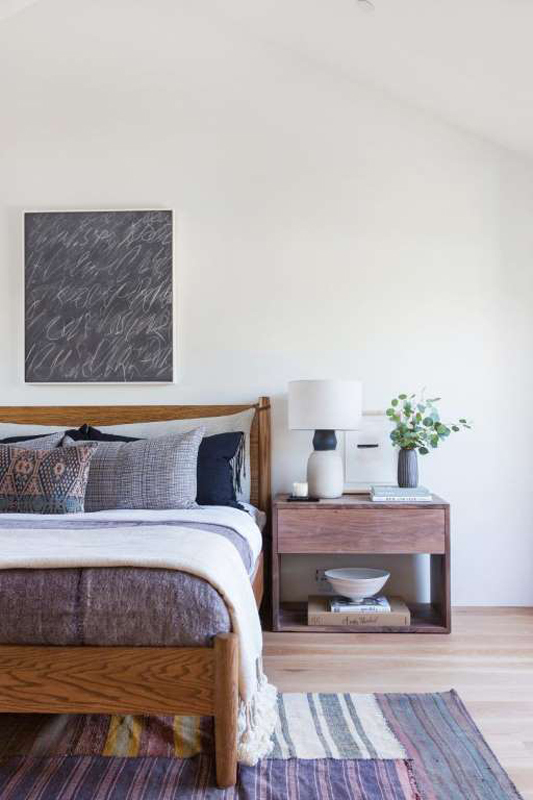 There's a ton of ways to make your wall art actually interesting, so your bedroom doesn't look like literally everyone else's. 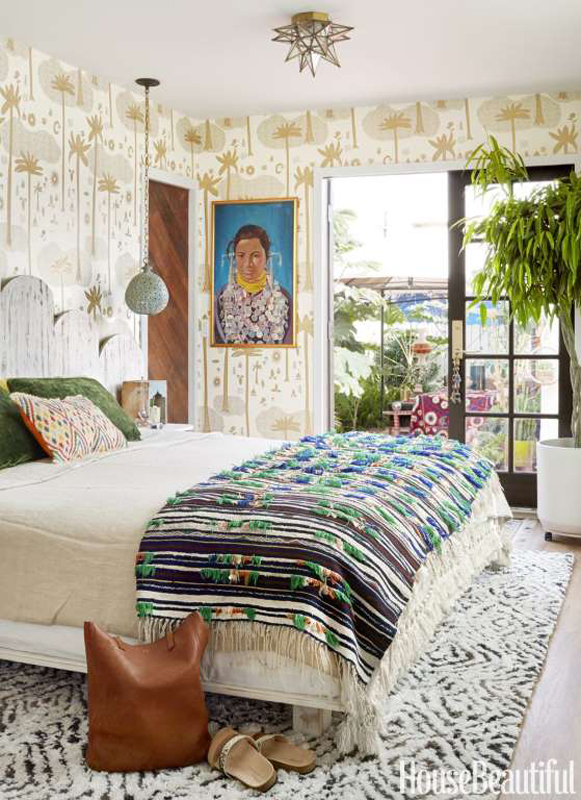 If you're afraid of a bold, printed wallpaper, choose a neutral color. 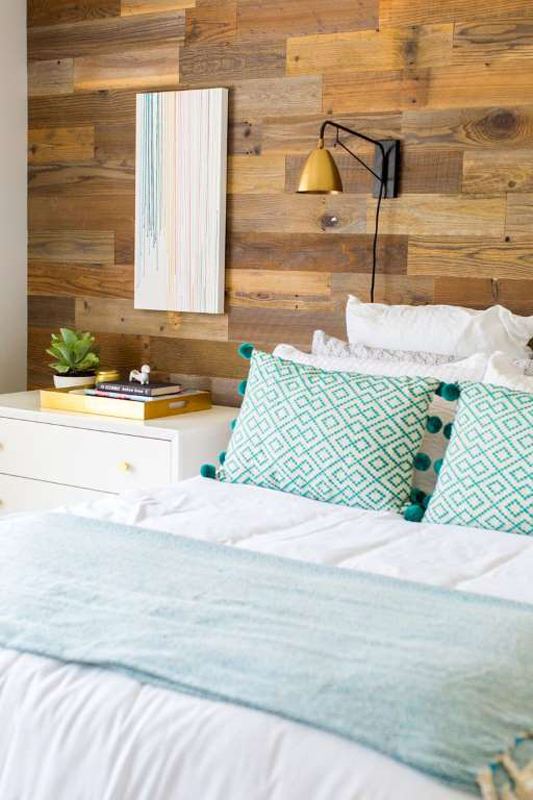 Your wall will still stand out, but the room will feel much lighter. 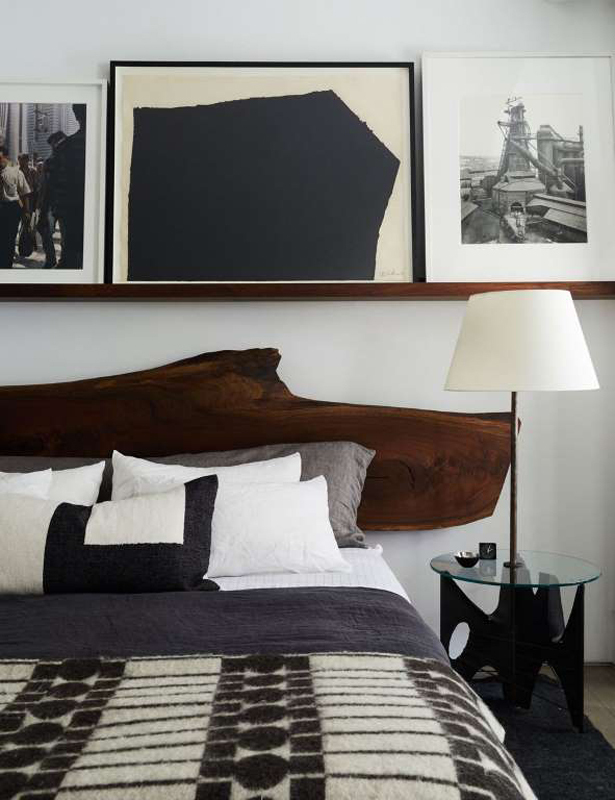 You don't need to clutter your walls with art-a single medium to large sized hanging can still be impactful. Cool, minimalist vibes for days. 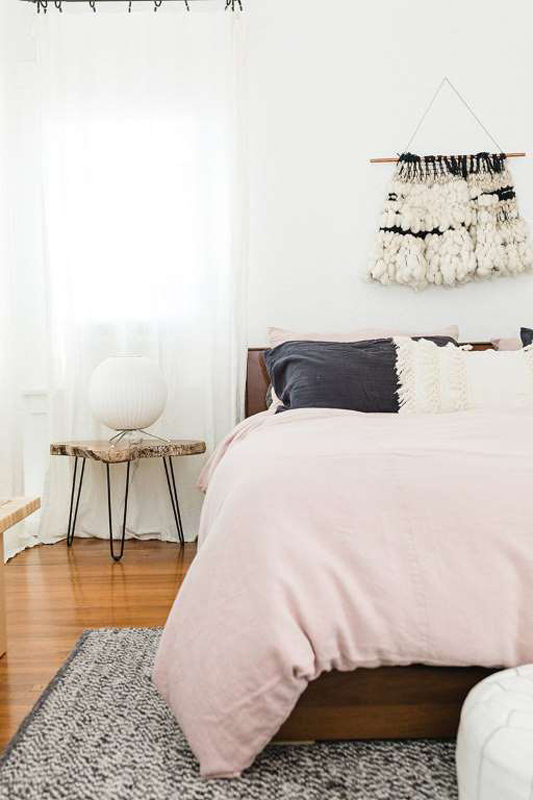 Monochromatic walls are over. 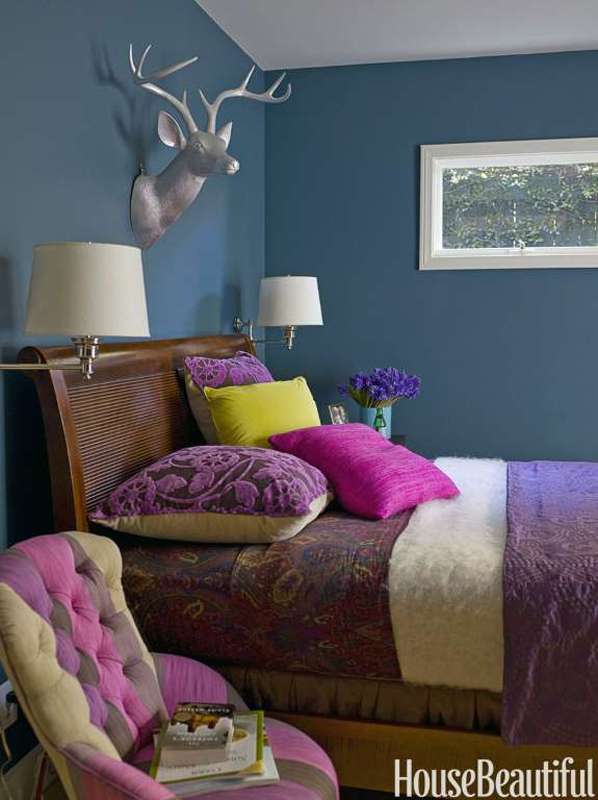 Try an ombre effect on your wall, then pick up the hues in your bedding. PSA: This is the new gallery wall. Line your prints up for a cleaner approach. 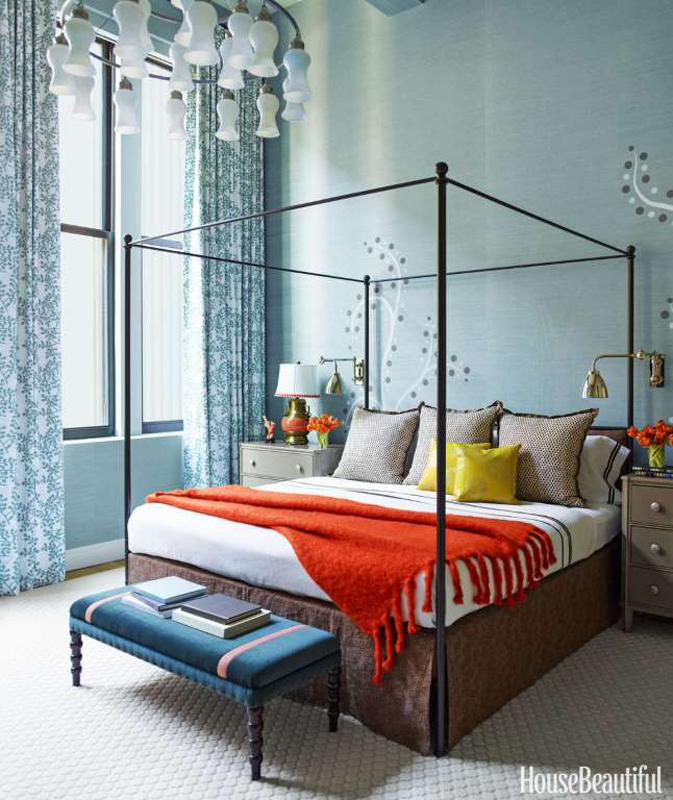 You don't have to disrupt clean, painted walls with hangings-instead, paint a pattern. 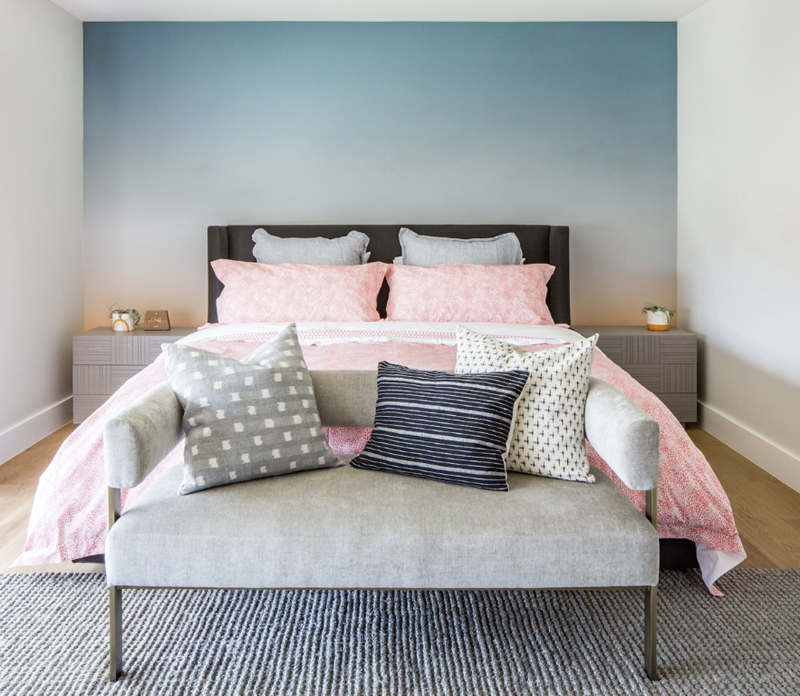 You can cover your entire wall for more impact, or limit the design to a small section.